From ceilings to floors, windows and doors, Crown has you covered. Crown Finish Construction is a company devoted to all your home improvement needs. 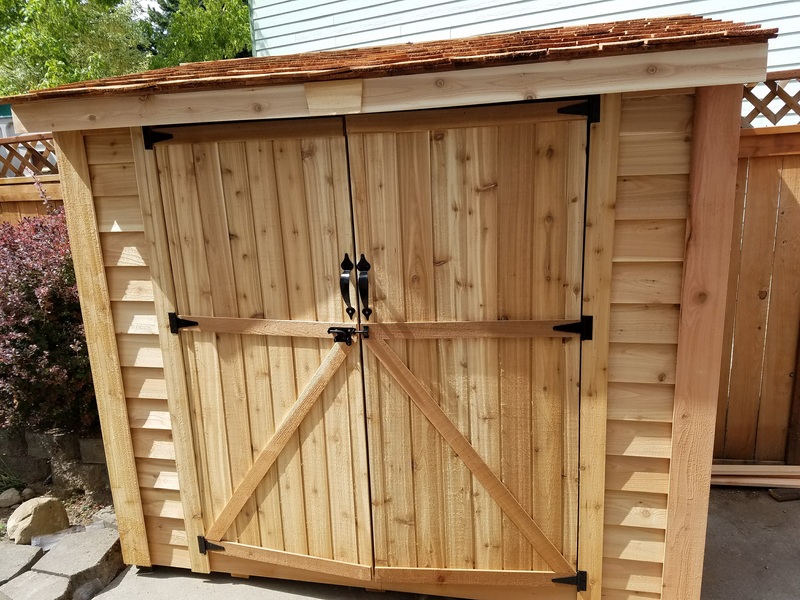 Located in Kirkland Washington, we have improved the appearance of decks, fences, siding, ceilings and floors in Seattle and the greater Puget Sound area. CFC can install interior and exterior doors, wainscoting, trim and porcelain tile, too. Jon Patterson has been working construction since the summer of 1979 before starting his last year of college. Since then, he has always been captured by the satisfaction of creating something with his own hands and finishing well. In 1982, Jon rented a room from Steve Urban, a tile subcontractor. Jon carefully learned his trade and helped remodel Steve’s house. He later helped Steve lay a large dining room floor for a orphanage. 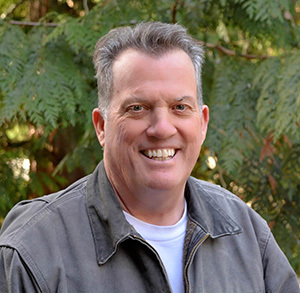 In the fall of 1994, he moved from the Puget Sound area and the security of a Boeing career to join Scott McCornack Construction to build high end luxury homes. In the fall of 2003, Jon worked with architect Gerald Redding to design a 1100 square foot remodel. 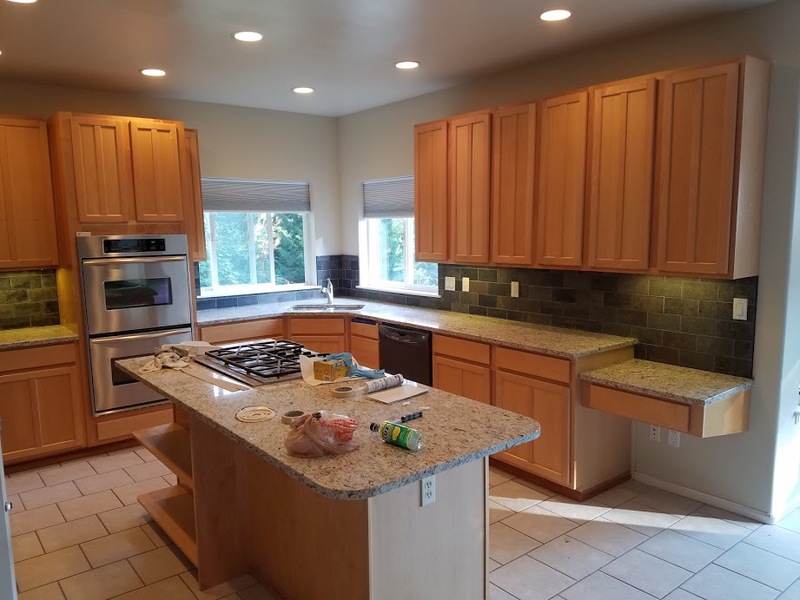 The remodel was finished in 2004 with Jon working as the General Contractor, tile subcontractor, finish carpenter, and painter. Jon continued to improve homes between contracts at Microsoft and in March 2009 became licensed, bonded and insured. 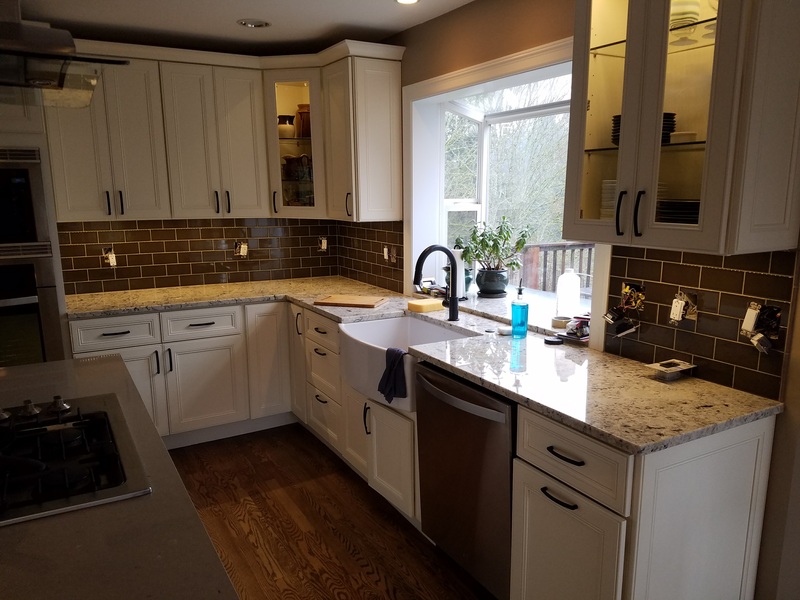 He serves the Bothell, Kenmore, Redmond, Bellevue, Woodinville and Kirkland areas and beyond. 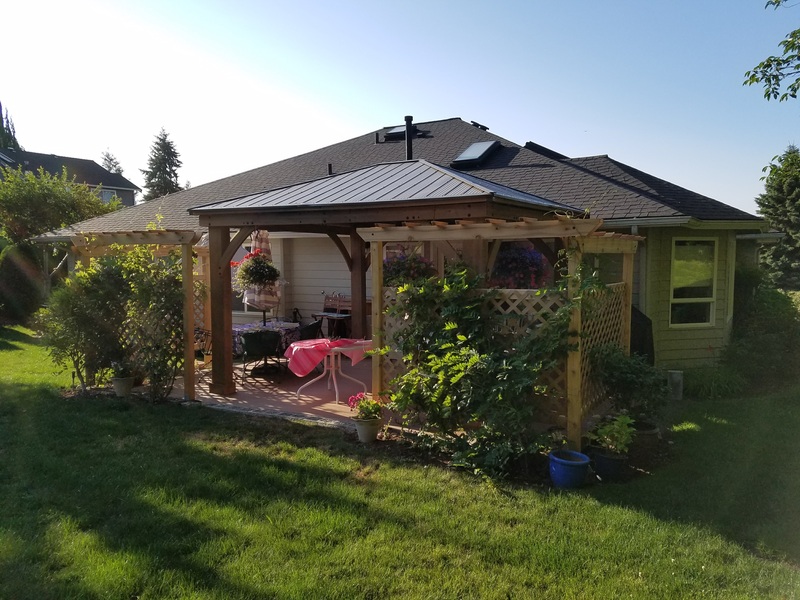 New TREX deck, new gazebo from kit, and new custom trellis in Bothell. Life can take its toll on a home. 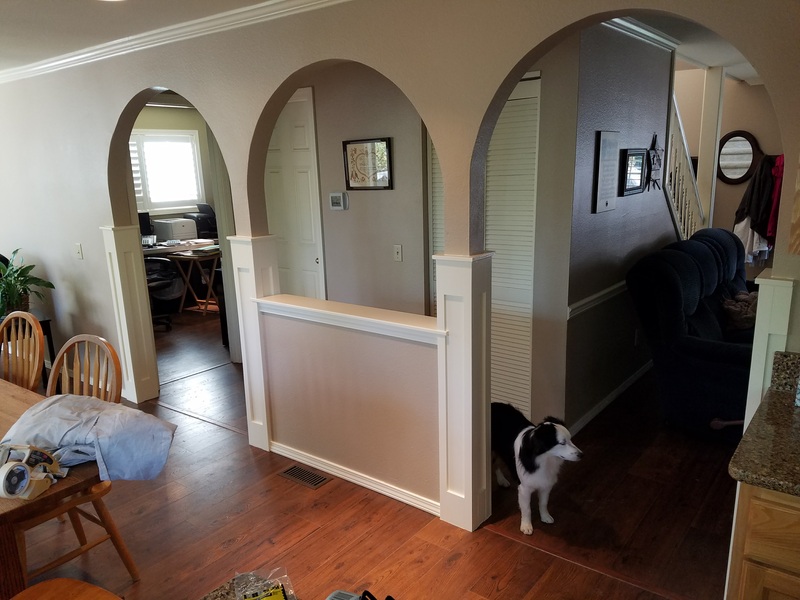 We provided repairs and added decorative trim work to this home in Bothell which doubles as ongoing protection against wear and tear. 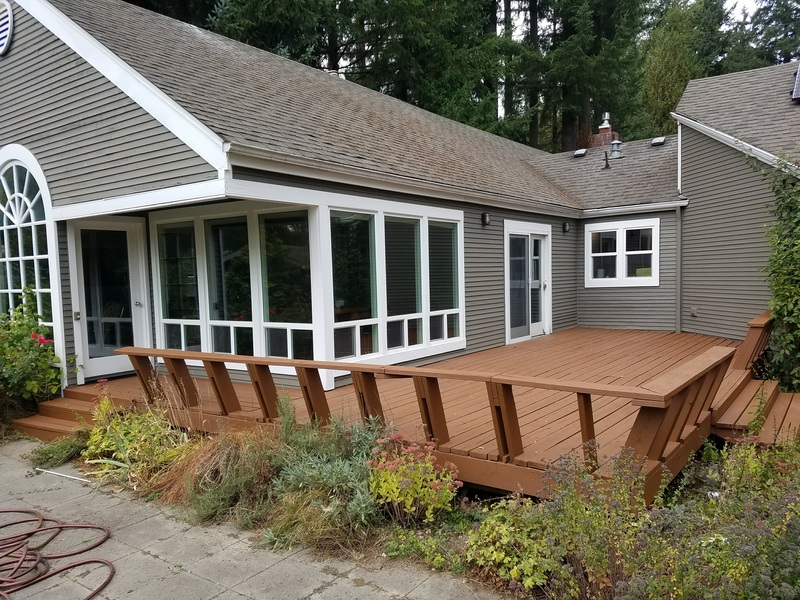 New deck stain in Woodinville. 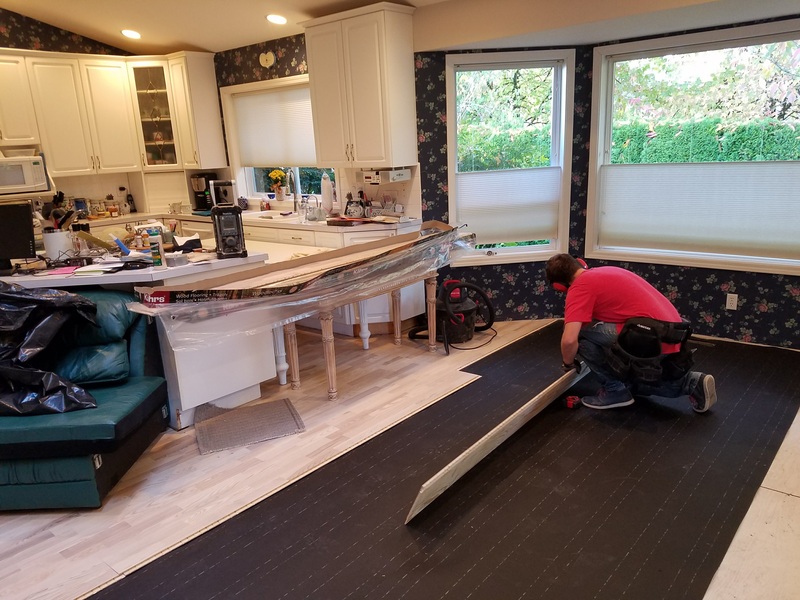 New engineered flooring installation in Kirkland after water damage.